Starting solids a struggle? 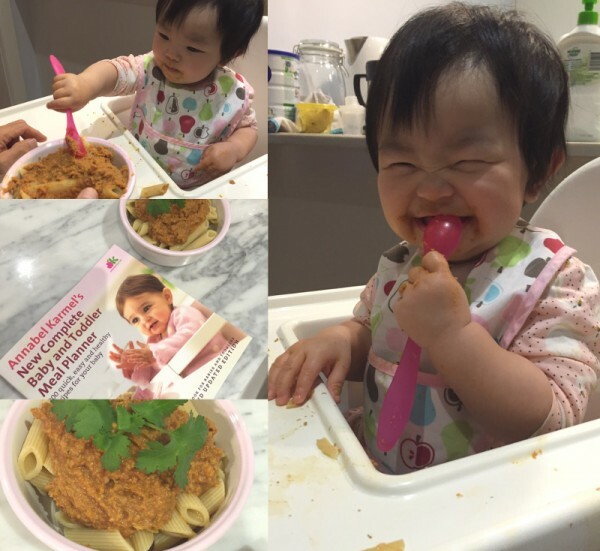 Babyology mums reveal the secret weapon that got their babies loving food! 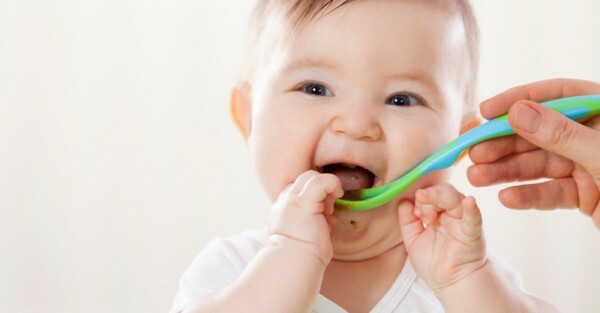 We all assume that when our baby starts solids, they’ll take to it with gusto. But, like anything when it comes to children, there’s a learning curve – and it can be a steep one. We had more than 25 of our mums trial a little secret weapon that’s helped guide many babies on their food journeys for 25 years – and all of them agreed that it’s made their child’s introduction to solids easier. When something works, it tends to be passed down from generation to generation – and that’s what’s happened with Annabel Karmel’s famous feeding guide, the one and only New Complete Baby & Toddler Meal Planner. It’s a best seller, and if you haven’t nabbed yourself a copy, you’ve probably had one handed down to you from a friend – after all, mums love sharing what works with other mums. And that’s exactly why we thought we’d get a bunch of Babyology mums to test out the meal planner in their own homes – and introduce yet another generation to this very helpful guide, which is full of tips, recipes and advice. We were pretty sure they would love the best-selling book – but were genuinely blown away by just how much it helped each and every one of our testers as they gently guided their babies onto solids. In fact, every one of our 26 reviewers said they would recommend the meal planner to anyone starting their baby on solids. Which recipes did the babies love? My baby loved the apple recipes, especially one of the most simple ones (apple with cinnamon). Lovely Lentils were a big hit as was Cauliflower Cheese and Chicken with Cottage Cheese. I have a voracious eater on my hands. I cooked Salmon and Broccoli Puree for my seven-month-old daughter. She really enjoyed the meal, always open her mouth when the spoon reach them. Adding the parmesan is a brilliant idea when cooking salmon. Never cross my mind. Mixed Dried Fruit Compote. Much tastier than the fruits on their own! Going Bananas. She thought this was a real dessert treat! With none of the sugar found in ready made custards. Zucchini Gratin. She didn’t really care much for zucchini before this, it’s the nicest way I’ve found to serve it. Mixed Dried Fruit Compote. I enjoyed this recipe because I hadn’t realised I could stew dried fruit to soften them enough for her toothless gums. She loved the flavour and it really improved how much Weet-Bix she was willing to eat for breakfast. Sweet Potato, Spinach and Peas. I chose this recipe because of the green veggies in it. Lentil and Vegetable Puree. I chose this dish because we are starting our daughter off vegetarian and I wanted to have more meat substitutes in her diet. It was a hit, she loved it and I loved eating it too. The thing that really surprised me was how much he loved the Lentil and Vegetable Puree, that was definitely a winner, he scoffed it down and moaned at me until I got more back out of the freezer for him! I also think the Going Bananas was just a great variation on giving plain banana slices. Multicoloured Casserole was a big hit with my little one! No left overs which is always a good sign! 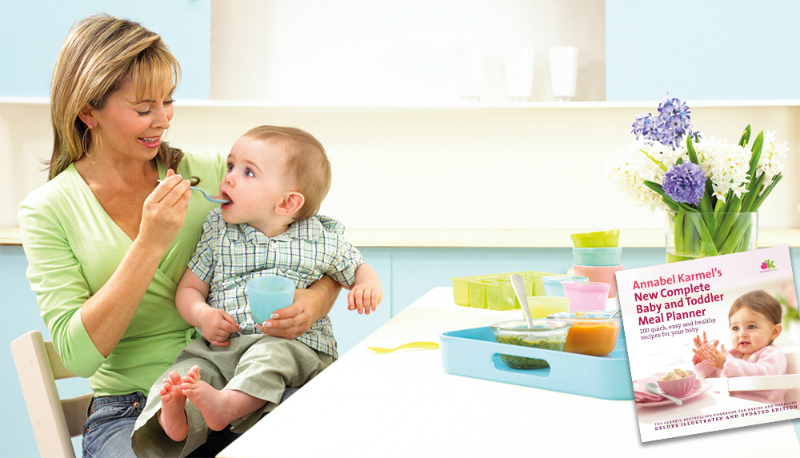 As a first time mum, I was pretty clueless when it came to knowing how to introduce solids to my baby. Annabel’s recipes guided me through purees and into meals with more varied textures and flavours. The wide range of recipes that this book has means I can try to cook different meals every day. Knowing that my daughter can easily be bored with her meal before I received the copy, by following the recipes I know I will never stuck with monotonous porridge and puree. I liked that there was a lot of general information included in the book on starting solids and baby nutrition, as well as a great range of recipes. I really wish I’d had it right from when I started my little man on solids. There is a lot of variety in the recipes and for someone like myself who is not particularly creative in the kitchen, it was a great way to break away from relying on jar/pouch foods – my baby has not had one store bought meal since I got the book! The recipes are all simple and easy to follow and majority of the meals are cooked in multiple serves that can be frozen so you don’t need to be cooking every single day. There are so many combinations of the same simple ingredients I won’t feel like food is getting ‘boring’ anymore. A lot of the recipes are also very close to ‘adult’ food, which will make the transition easier. Loved the used of spices (cinnamon etc.) it hadn’t really occurred to me to ‘spice things up’ but it’s been good for our adventurous little eater and can really change to flavour of basic meals. Overall, our mums thought Annabel’s meal planner was simple to use, full of useful information and bursting with ideas to make food fun, flavoursome and full of nutrition. We’re absolutely thrilled that a whole new generation of mums and bubs is now enjoying this brilliant book – and if you’re keen to get your hands on a copy, or try some great recipes for your baby, head to Annabel Karmel.